Some Friday lunch times, I feel like exploring new places and cafes are my favourite things to discover. Why 50 quickly came to mind because I had seen it on the Foodie website and this new coffee shop discovery phone app, Kawa, also recommended it. It’s located in Sheung Wan, which turned out to be a great location because the vibe was much more chilled out (than the unpleasantly buzzing cafes in Central) and I could enjoy a 15-20 minute walk there from my office. The coffee was amazing! And as I posted three snapchats at this place, close friends who had been, were quick to reply and agree with me. The coffee was so good that I also checked if they sell their own coffee beans – since I recently bought an Illy Francis Francis coffee machine at home; they say they may do so in the future. 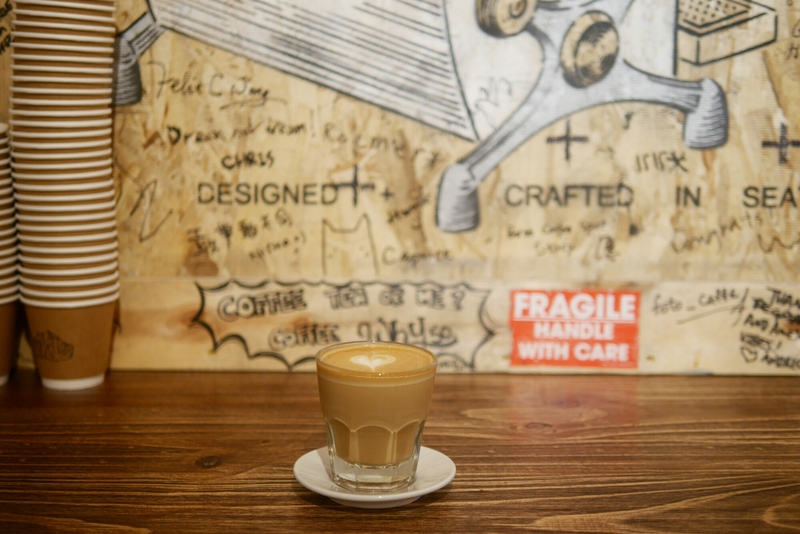 See a list of my other recommended coffee shops in Hong Kong here. The good food (along with good vibes) was the key reason I came back here the following Friday lunch. Their avocado and egg toast (HK$90) was soooooooo good – finally, a place that’s not stingy on avocados! They served about one whole avocado. The mango tomato salsa added an important oomph to the dish… So it’s not one of those dishes that make you feel, “I could’ve totally made this at home”. They don’t have a lot of options on their menu and this was definitely the most appealing-sounding dish. 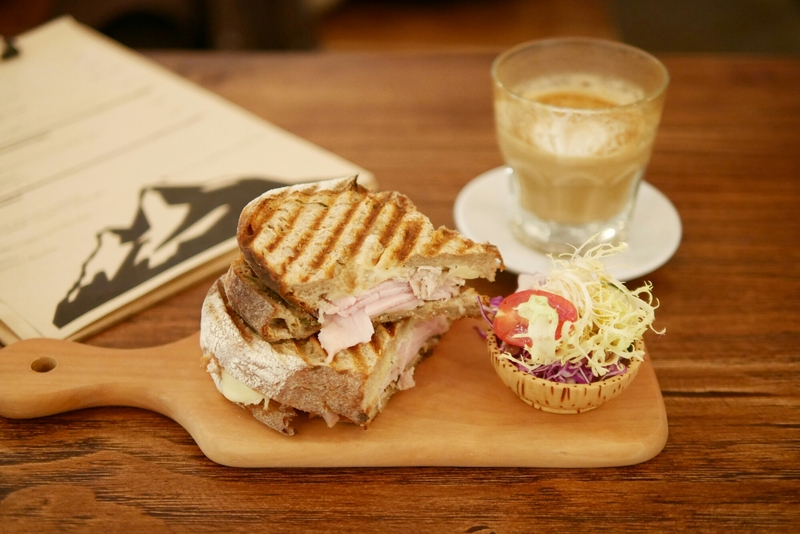 But I also tried their cubano sandwich (a signature) and it was really good too – their breads are all delicious which makes one of the biggest differences here. 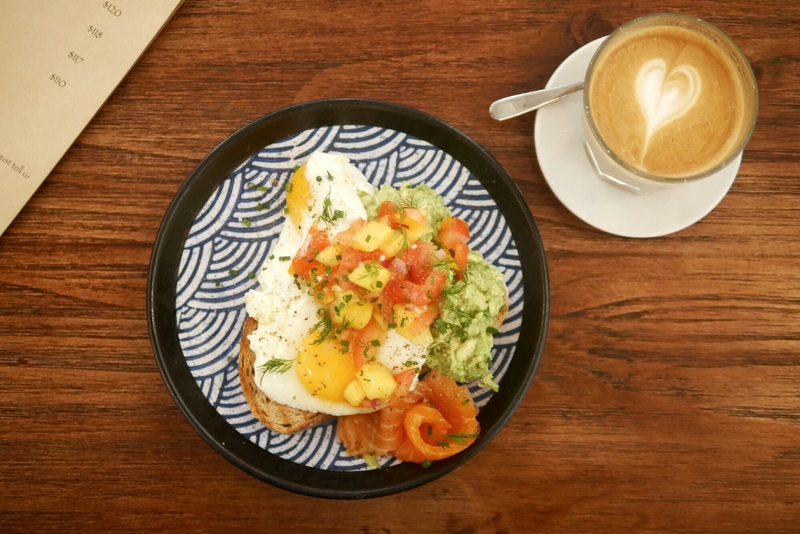 It’s definitely a must-try for coffee lovers and a great spot for a relaxed lunch or brunch. However there are limited seats: less than 20 in total, only 8 of which are non-bar stool type of seats. But it’s pretty easy to get seats on a weekday. Its location is also conveniently close to the Sheung Wan MTR or walkable from Central.